Remove warm-season annuals as hot temps subside at month’s end. 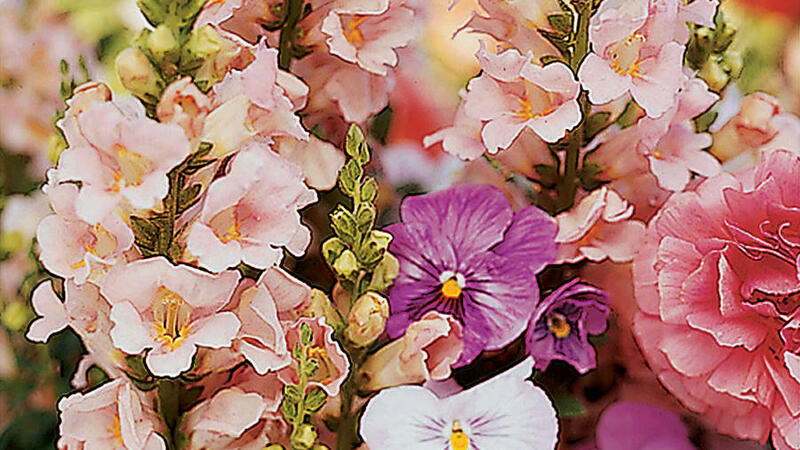 Begin planting cool-season annuals such as ornamental cabbage, pansy, primrose, snapdragon and stock. Plant buckwheats (Erigonium). These easy-to-care-for native subshrubs (little, woody shrubs) resemble small rosemary plants and are hardy in low- or mid-elevation desert locations. They both bloom pinkish white flowers in spring, summer, and fall (depending on elevation). Try flattop buckwheat (E. fasciculatum) or Wright’s buckwheat (E. wrightii). Wedge dwarf flower bulbs into rock gardens and dry gardens for an early spring surprise. Shop for unusual varieties now, and plant in October and November. Try dwarf iris (Iris reticulata) and little species tulips (Tulipa clusiana). The dwarf tulips come in striped colors: white and pink ‘Stellata’, yellow and pink ‘Cynthia’, and yellow and crimson (T. clusiana var. chrysantha). Order from Brent and Becky’s Bulbs (brentandbeckysbulbs.com). Mediterranean plants thrive when planted in fall. Try silver shrubby germander (Teucrium fruticans ‘Azurea’) and ‘Arp’ rosemary. For evergreen groundcovers, prostrate germander (Teucrium chamaedrys ‘Prostratum’) and dwarf rosemary (Rosmarinus officinalis ‘Huntington Carpet’) fit the bill. Make a statement by planting a big agave. Try large sculptural species such as Gentry agave (A. gentryi), mountain agave (A. montana), or whale’s tongue (A. ovatifolia). All are available from Starr Nursery (starr-nursery.com). Mojave desert plants get established quickly when planted in the fall. Banana yucca (Yucca baccata), Creosote bush (Larrea tridentata), Joshua tree (Yucca brevifolia), and Mormon tea (Ephedra viridis), and are just a few good choices. Plant alyssum, buddleija, lantana, and milkweed in your garden to supply refueling nectar to Monarch butterflies as they migrate south this month. When highs dip below 100°, start to slowly reduce the watering frequency on your desert and desert-adapted plants to harden them off for winter. This limits tender new growth and help reduce frost damage when colder temperatures arrive.